This inspiring memoir of raising a special needs daughter by longtime Cincinnati Enquirer writer Daugherty has received good advance reviews and strong regional media. Now the book gets a nice break with a segment on The Dr. Oz Show, likely to air in April. 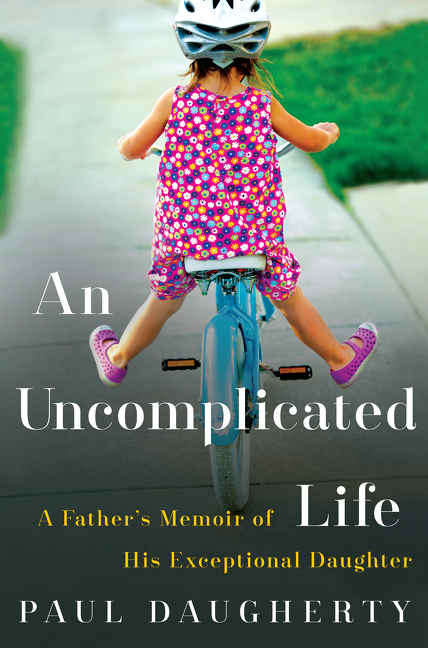 An Uncomplicated Life: A Father’s Memoir of His Exceptional Daughter (9780062359940) by Paul Daugherty. $24.99 hardcover. 3/17/15 on sale. Lieber is an award-winning NYT financial writer. In this parenting book he moves beyond mere financial literacy to argue that parents can also use financial training to give their children a broader values-based understanding of the role of money in becoming a well-rounded person and useful contributor to society. Initial media includes a NYT excerpt on the cover of the Sunday Business section, a CBS This Morning interview and overage in Good Housekeeping, Redbook and more. The Opposite of Spoiled: Raising Kids Who Are Grounded, Generous, and Smart About Money (9780062247018) by Ron Lieber. $26.99 hardcover. 2/3/15 on sale. Short Take: You Are Not Special – David McCullough, Jr.
I’m expecting good media. He’s scheduled for CBS This Morning, USA Today and Diane Rehm. It’s a Parade pick and there will be a feature in the Boston Globe. And there are two starred advance reviews taking us to on sale. You Are Not Special … And Other Encouragements (9780062257345) by David McCullough, Jr. $21.99 hardcover. 4/22/14 on sale. We’re now at least a couple decades into a global experiment in living digitally and the data on how it’s affecting us is starting to come in. For instance, studies are starting to show that people who read hang on to cognitive abilities longer than people who spend time more passively in front of screens. Along with the clear-cut advantages that accompany digital life, preliminary studies are showing that a life in front of screens is not only changing the way children learn, it’s changing the way they think—and not necessarily for the better. So how do we make smart choices about our lives in front of screens—and how to make wise choices for our children? Catherine Steiner-Adair’s is a clinical psychologist in practice with small children. Her findings cut to the core of contemporary family life. The Big Disconnect outlines issues and offers solutions for parents who want to raise well rounded, empathetic children—children capable of fully enjoying life and its challenges. Advance reviews are good and I can’t imagine anything other than strong, ongoing publicity starting with The Diane Rehm Show at on sale. The Big Disconnect: Protecting Childhood and Family Relationships in the Digital Age (9780062082428) by Catherine Steiner-Adair. $26.99 hardcover. 8/13/13 on sale.